The Euro-Atlantic Youth Forum was held at the V.N. Karazin Kharkiv National University with the support of the Embassies of Norway and Lithuania in Ukraine, reported the website of Yaroslav The Wise National Law Academy. The forum was attended by 60 students from 15 universities of Kharkiv, Sumy, Donetsk and Lugansk regions. 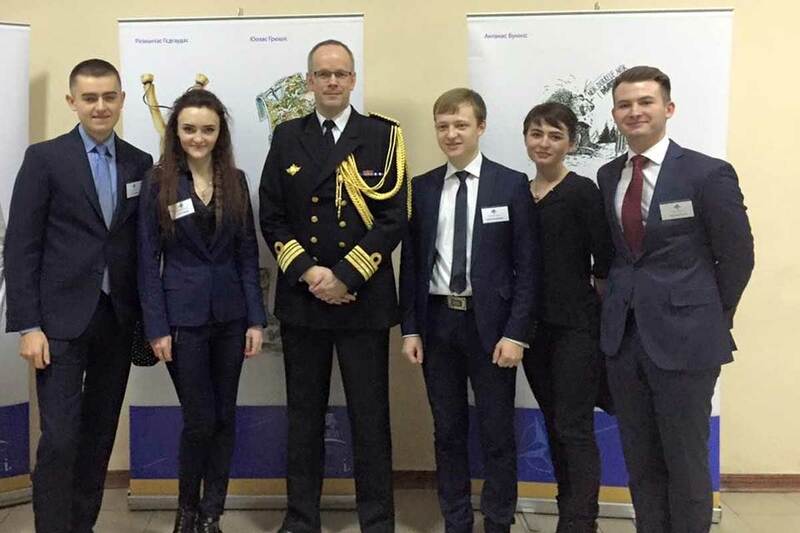 Forum was organized by the Lithuanian Embassy in Ukraine which acts as the NATO contact embassy in Ukraine and V.N. Karazin Kharkiv National University. The moderator of the discussion, the authorized representative of the Embassy of Lithuania in Ukraine Jonas Danilyauskas noted that Europe has recently faced a significant increase of threats. “A proper understanding and solution we must find together. It is gratifying to see that so many Ukrainian young people are interested in the security issues,” added Jonas Danilyauskas. 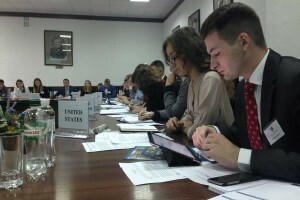 On the first day the youth participated in the interactive discussions on environment changes of global security, new challenges in the modern world, the current role of NATO, security policy of Ukraine and relations between NATO – Ukraine. The students attended lectures “Changing of the global security of environment. The challenges and ways to overcome them?” (Petras Vaitiekunas, the former Ambassador of Lithuania in Ukraine), “Euro-Atlantic Security – an alliance of 28? What is NATO and its role in the modern world?” (Hans Helsez, Commodore of the Norwegian Navy of Joint NATO Military Center in Stavanger, Norway). On the second day of the forum the students became themselves ambassadors of the countries – members of NATO and participated in modeled meetings of the North Atlantic Council and the Committee NATO – Ukraine. Earlier we reported that the Euroatlantic youth security forum will be held in Kharkiv.